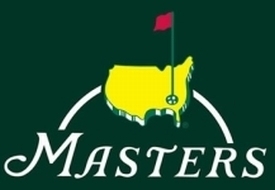 The picks and round one standings for the year's first major are on the site. We chose 21 golfers. Rory was our first true unanimous pick of the year. The #2 favorite this week is Justin Rose, chosen 15 times. D.J. is on 14 teams. Rickie and Tiger got the nod 11 times each. Molinari and J.T. made it on to 8 teams each. Seven players picked Jon Rahm. Six of us like Fleetwood. Hoffman and Casey are 4-baggers. Koepka, Spieth and DeChambeau are treys. The deuces this week are Oosthuizen, Leishman, Matsuyama and Kuchar. Only 3 uniques. Dan, Oliver and Mike M. have one each. I'd say the other 15 of us didn't take any chances but of the 3 golfers that are unique picks, two are recent past champions and the other finished in the top 10 last year playing on one leg. I don't think anyone took any chances. Seventeen of the W.G.R. top 20 are in our picks and 3 others are in the top 35. The only real risk takers were the players who picked Hoffman, who's #66. The purse has not been announced and probably won't be until Saturday night, so I'll be using last year's purse in the standings until then. The Masters has used the same distribution percentages for the past 16 years, so the standings should be accurate but the amounts may be low.